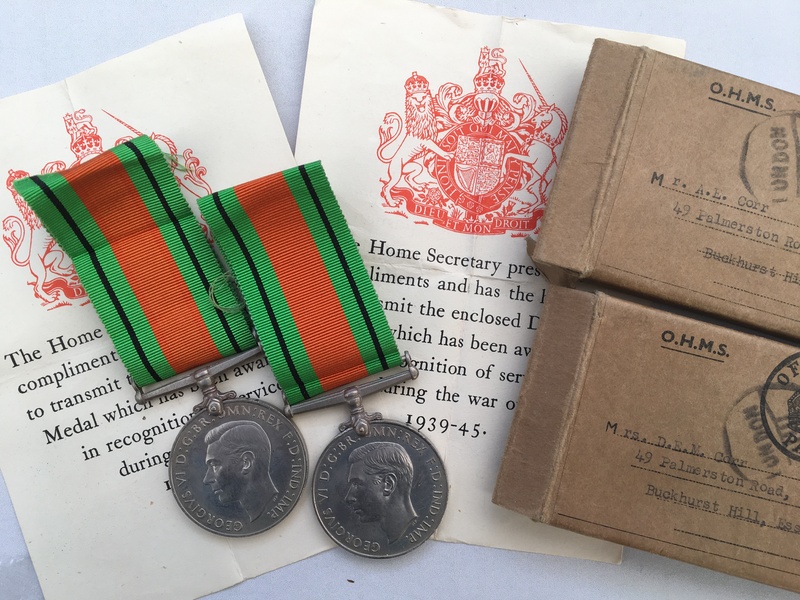 A WW2 family medal group with original boxes of issue, addressed to Mr A. E. and Mrs D. E. M. Corr of Palmerston Road, Buckhurst Hill, (near Romford), Essex, who served as Air Raid Wardens during WW2 with the ARP. The history of the ARP in the UK can be viewed by clicking on here. As can be seen from this ‘Bomb Dropped Locations Map’, which can be viewed by clicking on here, this area of London, near Romford, was very heavily ‘blitzed’ during the war - this family would have been in the thick of it. 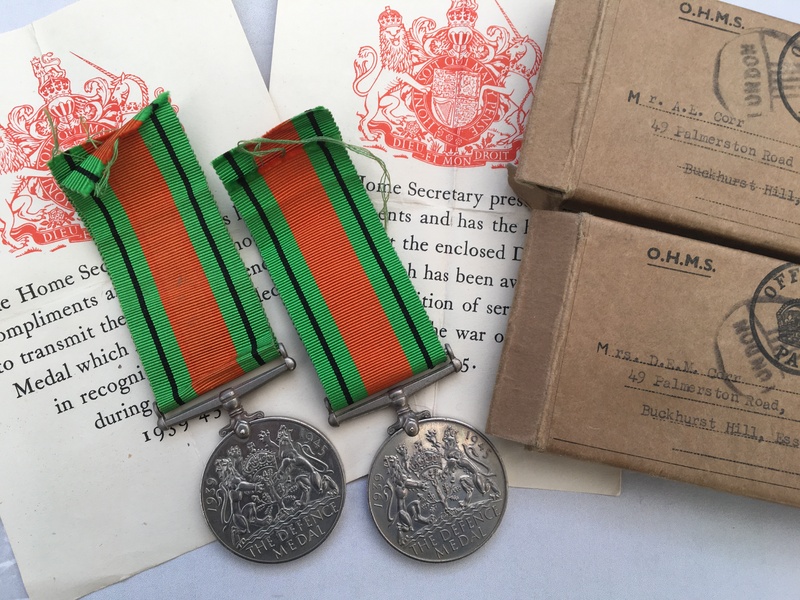 Defence Medals unnamed as issued. 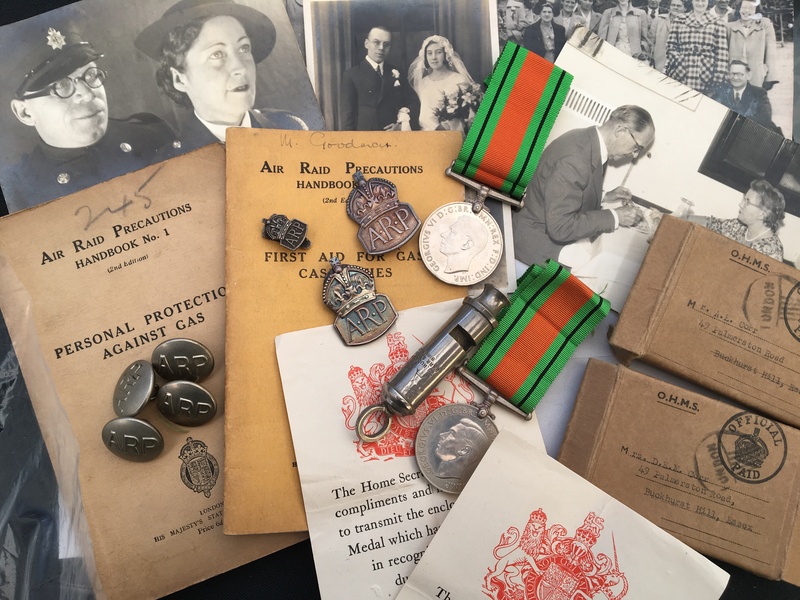 Assorted photographs of Mr and Mrs Corr.